The changes are in counties that were directly affected by the massive storm earlier this month. With tens of thousands throughout the region still without power, Florida Gov. Rick Scott on Thursday relaxed or waived voting rules for eight counties hammered by Hurricane Michael last week. Scott's order represents a delicate balancing act for the Republican governor since most of the Panhandle counties affected by the decision are GOP strongholds that usually deliver thousands of votes for Republican candidates. Scott himself is challenging Democrat U.S. Sen. Bill Nelson in a closely watched race that could help decide control of the U.S. Senate. Hurricane Michael roared ashore last week and left a trail of ruin for roughly 80 miles (130 kilometers), stretching from the Gulf of Mexico to the Georgia border. Using his emergency power as governor, Scott relaxed rules on early voting, including limits on where local election officials are normally allowed to set up early voting sites. He also said that election supervisors could extend the early voting period all the way to Election Day. Florida law requires early voting to wrap up the weekend before Election Day. The governor's order also allows people to request that mail-in ballots be delivered to a different address than the one on file in the state's voter registration list. "Any flexibility like this gives me the ability to give my voters more of a chance and opportunity to vote, especially when conditions are like this," said John Hanlon, the elections supervisor for Gulf County on the coast. 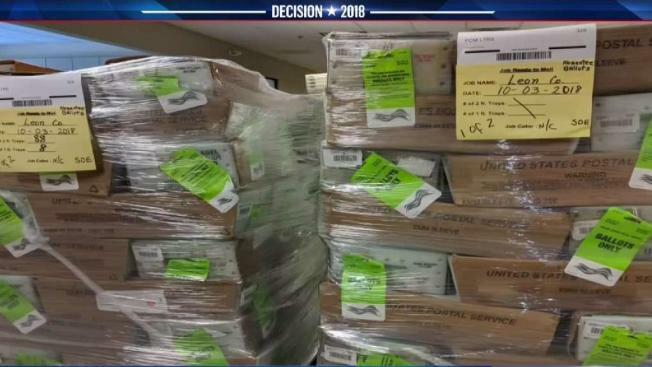 State officials said they made these moves amid reports of damaged polling places, power outages and limited phone service. The Department of State said in a press release that no voting equipment was damaged. Sarah Revell, a spokeswoman for Secretary of State Ken Detzner, said he was not available to discuss the governor's executive order. The Scott administration has clashed through the years with voting rights groups and Democrats over everything from a flawed attempt to purge non-citizens from the voting rolls to the administration's decision to bar the use of college campus buildings for early voting sites. In many instances, the groups were successful after suing the governor and Detzner. In a statement, Florida Democratic Party chairwoman Terrie Rizzo said the party supported the governor's steps so far. "The Florida Democratic Party supports efforts to increase access to voting, especially in light of the effects of Hurricane Michael," Rizzo said. "We are in close communication with local officials and our grassroots leaders and when the Division of Elections begins to implement the framework laid out in the executive order we will be vigilant in our oversight to ensure the order does not disenfranchise voters." Blaise Ingoglia, the chairman of the Republican Party of Florida, praised Scott's order and called it a "thoughtful, comprehensive and targeted solution." Hanlon said his county would use the executive order to create two super voting centers that would offer early voting until Election Day. He said the only idea that the Scott administration did not go along with was a proposal to allow displaced voters to receive a ballot via email, an option available to voters living overseas or in the military. Under Florida law, Scott could have postponed the election beyond Nov. 6, but there's is a legal question on whether that authority would extend to federal races. In 2014, Scott narrowly won re-election over former Gov. Charlie Crist by more than 64,000 votes, winning seven of the eight counties covered by this executive order. Scott got more than 30,000 votes from this part of the Florida Panhandle, including nearly 28,000 votes in coastal Bay County, which was pounded by the storm. Hanlon said that although there has been an uptick in interest this week, he predicts the storm could depress turnout in his county. "We're going to take a voter turnout hit, there's no question," he said. Hundreds of homes were destroyed by Michael last week.